Early in summer 2013, two Japanese performers were standing on the busy street, Toronto. “I wanted to be valued my performance in the place people enjoying performance with an open mind,” one of these performer Ryota Moriyama said. Ryota Moriyama is a musician who is from Tokyo, Japan and performing mainly on the street in Toronto such as at harbor front and Yonge-Dundas with Kaori Asahiro, a dancer. Their performance is merged of a guitar and a dance. The great performance and Japanese style outfit attracted many people in Toronto. Ryota started playing a guitar at 12 years old, since then he has been playing many kinds of music including rock, pop, hip-hop, and reggae based in Tokyo. He came to Toronto in June, 2013 to try himself in the place living different people and different culture. Right after arriving Toronto, Ryota and Kaori started performing with big exhilarating sounds, fascinating dance, this a bit unique performance stopped many people. Through the performing in Toronto, he realized the difference of thinking of money for arts between in Canada and Japan. “For example, in Canada, most of arts have price even though for small art hanging in the small café. But it is not common in Japan. I think Canadian has thinking of connection between arts and money. During the performance, I saw some parents gave money to their children and the children put money for us. I guess that is kind of education of paying money for that kind of things,” Ryota charged. Moreover People in Canada show their reaction directly with open minds, which is good for performers. However Japanese people tend to attach the coorperativeness, so sometimes it’s difficult to know about our performance, according Ryota. When the summer was coming to a close, their performances were filmed by two Toronto filmmakers. One of the audiences Jim Bachalo proposed filming their performance at the very busy corner of Yonge-Dundas in Toronto. What Bachalo and the two performers ended up making was a short film that showcased each individual’s talents all around. The second chance came soon after that, Social worker Cathy proposed filming their performance, in Kensington Market, it was the final performance of Kaori and Ryota during their staying in Toronto. For Ryota Moriyama, it was clear how different the environment for artists between Canada and Japan. “I would like to make the environment that people recognize the value of artistic expression with an open mind,” – Accordingly he started making the environment for young artists with some works including operating web magazine, apartment for artists. Wherever he is, his goal is consistent and he hopes this idea will be spread for many people even in Japan. 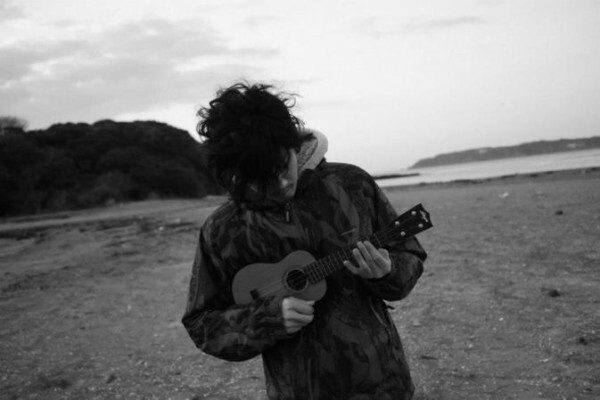 He will also continue to play music in Japan in addition to make the environment for artists. It might come true in near future that Ryota is valued with his music in the society that he deserves.